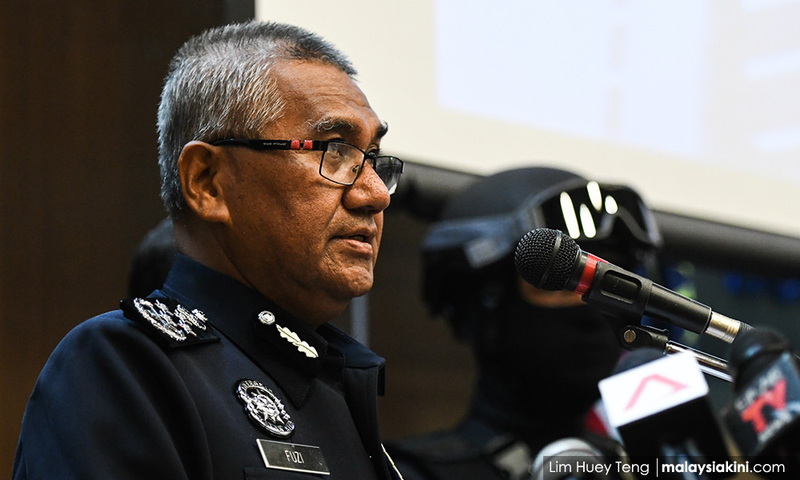 Inspector-general of police Mohamad Fuzi Harun said the incident involving private Adam Jafar, the soldier who ran amok in Chow Kit in 1987, should not be revisited as the case has been settled. He said the incident happened more than three decades ago, and the case had long been disposed of. “I don’t have sufficient facts to comment on it and the case has also been settled. “I think the time is not suitable to revisit such a case, it creates a lot of speculation,” he said after joining the 'Fit Masjid Fun Ride' programme at Sultan Yusuf Izzudin Shah Mosque in Seri Iskandar today. He said this when asked to comment on a report on a statement by Adam’s family calling for the authorities to investigate the person responsible for spreading rumours on the case. Fuzi said the best person to comment the case was former IGP Hanif Omar, as it happened during his time. The amok incident involving Adam happened in October 1987 during which a man was killed by a stray bullet. Adam, then 26, was spared the death sentence due to his unstable mental condition, and was sent to Tanjung Rambutan Hospital for 10 years. The case was revisited after the Johor crown prince Tunku Ismail Sultan Ibrahim made mention of the incident involving Adam, that had purportedly marred the name of the Johor royal family. Yesterday, Adam’s sister, Hawa Jaafar, 53, apologised to the Johor royal family for being linked to the case when what caused her brother to run amok on that day was because of work problems.